Anyone who knows me, knows that I love the Dollar Store. I probably know the store better than the employees. So with my upcoming camping trip (yay!) and because I needed more canvases for my wall art, I made a trek out to my favourite store yesterday. Now, the only downfall with the Dollar Store is that none are located quite conveniently for me. The best one is the Dollarama at Yonge and College because it is on the subway and I can kinda make it be on my way home. And now that Dollarama goes up to $3 in price, you know there is some great stuff to be found! 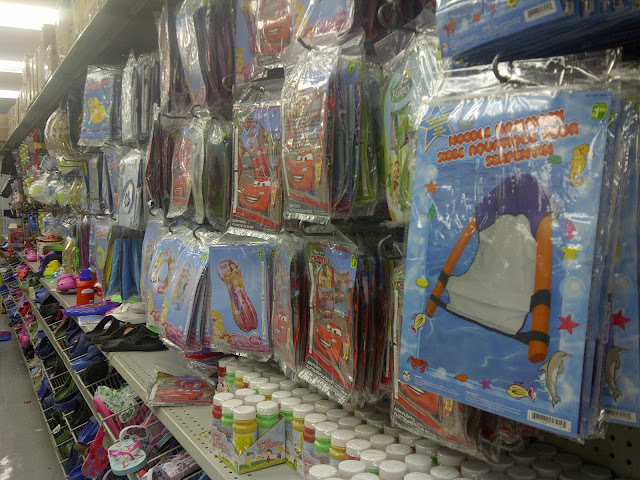 Let me tell you, if you need some camping stuff- go to Dollarama. They have a huge selection of amazing outdoor stuff! 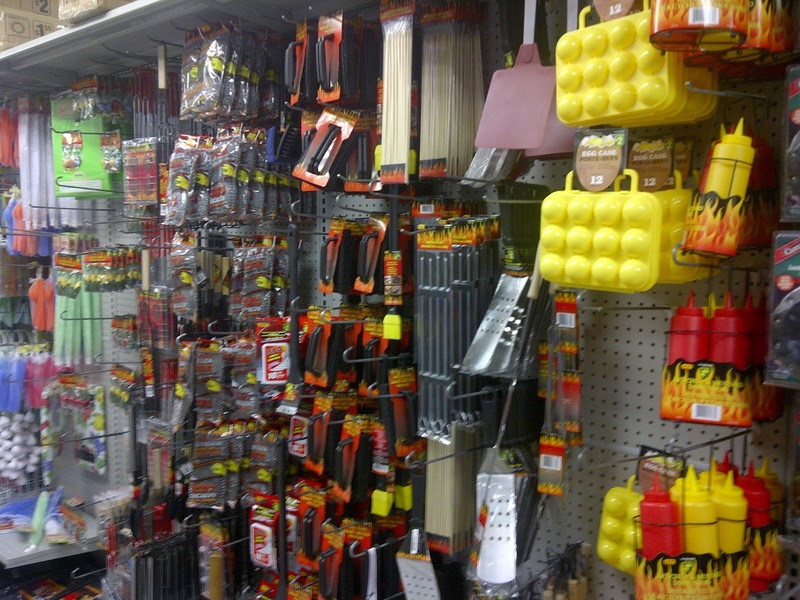 Look here, we have all manner of barbeque essentials and things like egg trays and condiment bottles for your cooler! 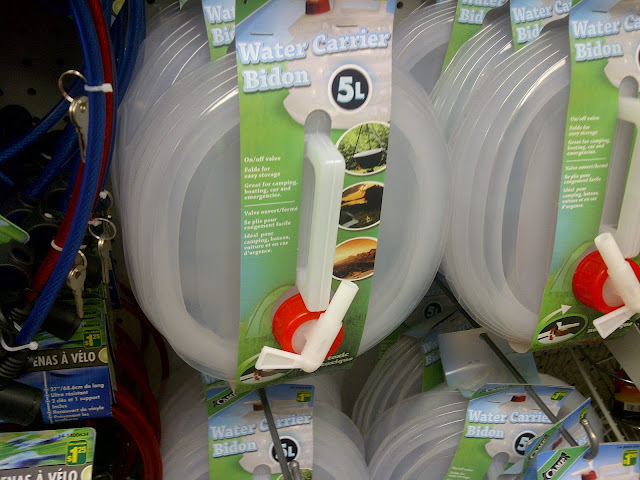 Look- they even had a collapsible water cooler. FOR A DOLLAR FIFTY! Oh and FYI- the noodle hammock is amazing. I spent all last year sitting on that thing in the lake! 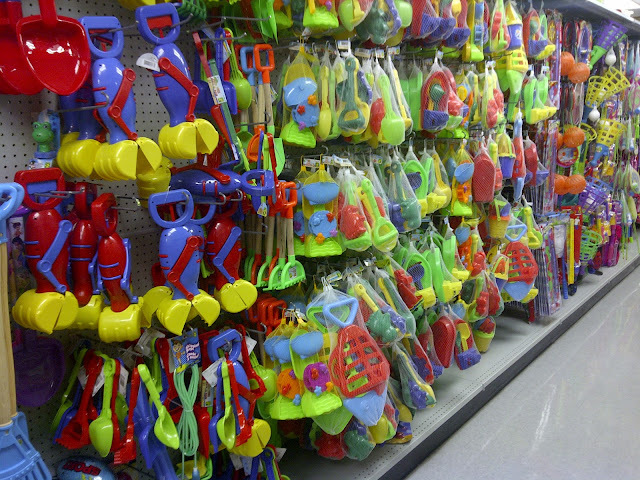 But I didn't pick up one because I didn't want to carry a pool noodle home. Anywho, I didn't buy any of this stuff, I just wanted to show you how awesome this store is. 2. Canada Frisbee. Nothing says "I love my country" quite like whipping the flag in the air and knocking out your friends' teeth! Even though they are calling for rain ALL WEEKEND I am hoping we can take this baby for it's inaugural flight. So then I take all my purchases to the cashier (including a few canvases and another non-camping stuff) and I ask for a bag for my purchases and the cashier says "The large bags don't have handles"
I mean, if anything the LARGE bags should have handles over the small bags! So I had to shuffle two huge bags home and of course one bag broke and then all these people banged into me running for the subway because it would be a TRAGEDY to wait 2 minutes for the next one. And then there was a huge line for the streetcar. This is why I don't like running errands during rush hour. Anyway, that is a glimpse of my Monday evening and all the sweet stuff I scored at the Dollar Store. If only they had ponchos and bag handles, my life would have been complete. Now please pray for no rain this weekend! !